Dulce De Leche is one of those ingredients that permeates so much of Argentine cooking. A huge amount of sweets, cakes, biscuits have dulce de leche as an element of their deliciousness! It can be difficult to buy dulce de leche but there is a handy way to make it. Buy a can of Nestle condensed milk (this just happens to be the brand that I have only ever used and was the only one I saw my mum use so have stuck to a tried and tested ingredient!). Take the paper wrapper off the tin. Boil a large pan of water. It is best to use an old pan which you wont cook with again - my mum tol me this is because the tin can release elements into the pan you don't necesarrily want to cook with later... I have always trusted that theory and bought a cheap $5 pan from the store just for this purpose. Once the water is boiled place the tins of dulce the leche in the boiled water. You MUST ensure that the cans are constantly covered with water. I leave a boiled pot of water ready to keep topping up the pan of water as it evaporates. You should leave the Dulce de Leche boiling for 3.5 hours. The longer you leave it the darker it becomes. Once finished carefully pour out the water and leave the cans to cool. Once the cans are cool enough to pick up, place in the fridge. If you are making dulce de leche to use in a cake or for Alfajores, you should make it the day before to allow it to cool down and caramelise properly. When the caramel is hot or warm, it can become very gooey and it is not easy to work with. In over 35 years of my mum making dulce de leche in Australia I have never heard of any problems, although there are people who believe that the cans can explode. Please be careful making the caramel and do so at your own risk... most important tip - keep topping up that water and make sure the cans are always covered with water in the pot. 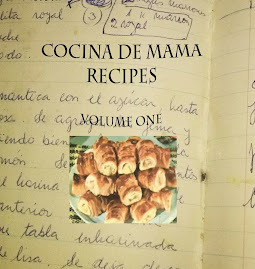 You can see the live recipe now on Cocina de Mama's YouTube Channel! 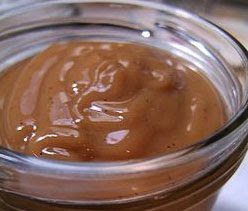 We just made dulce de leche in the kitchen here last week, and still have a tub of golden goodness in the fridge! In reply to the quince jam question, you can buy quince paste/jam from a company called South Cape, available from most deli or cheese sections in any good supermarket. Used in Oz and Italy as an accompaniment to cheese, it is essentially quince and sugar so I'm sure it would be suitable...? Thanks Amanda - great advice about the Quince! The Dulce De Leche you guys made last week was SO good :)it rarely lasts in my fridge - somehow it always ends up as a naughty snack straight out of the tin! I've always wanted to try making this but a little scared about the stories I heard of it exploding.Thanks for the tips on keeping the cans under boiling water.if you won't mind I'd love to guide Foodista readers to this post.Just add the Dulce de Leche widget at the end of this post and it's all set, Thanks!